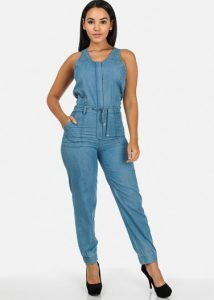 Jumpsuits are ideal for summer days, so the materials and prints should be comfortable and soothing. 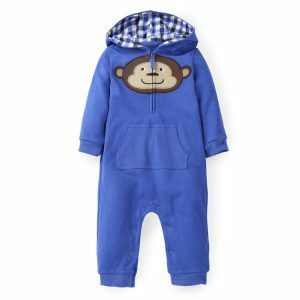 Amongst all colors, ladies find different shades of blue fascinating. 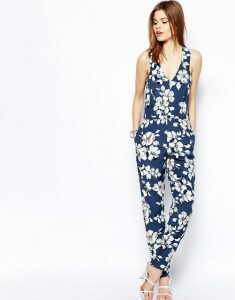 Sometimes with floral prints and sometimes with plain monochrome, blue jumpsuits are girls’ preferred choices. As far as materials are concerned, besides cotton, you will get denim and satin variations for your blue jumpsuits. 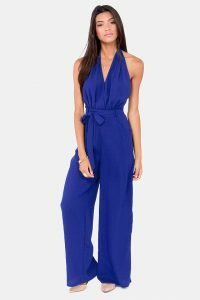 A royal blue sleeveless jumpsuit with a corset type feature on the bodice makes the dress perfect for trendy ladies. 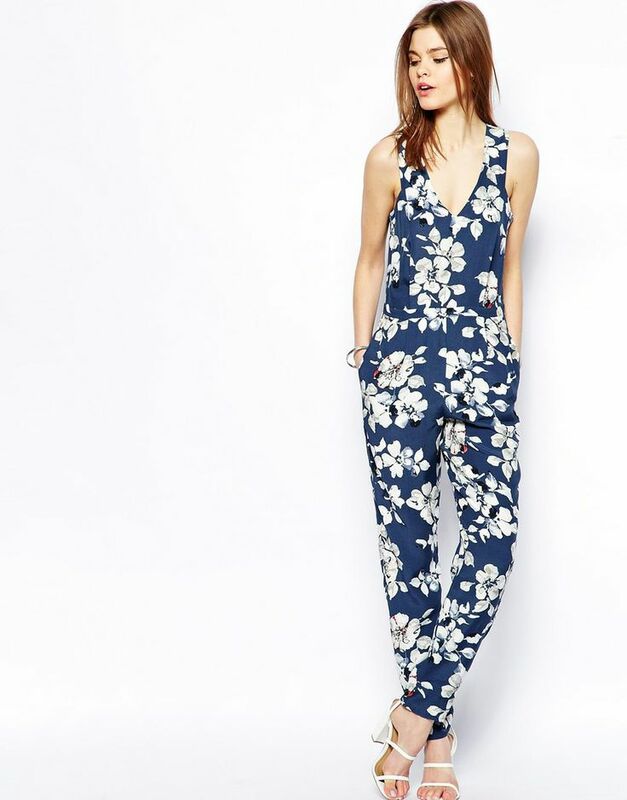 With a pair of pumps, this dress looks fantastic. Make your summer style tan-proof by choosing a full-sleeved jumpsuit and team this up with a pair of dangler earrings. Keep your makeup as simple as possible. 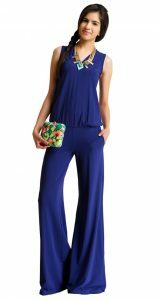 A blue halter-neck jumpsuit is good for a cocktail party where you can freely dance with your friends. 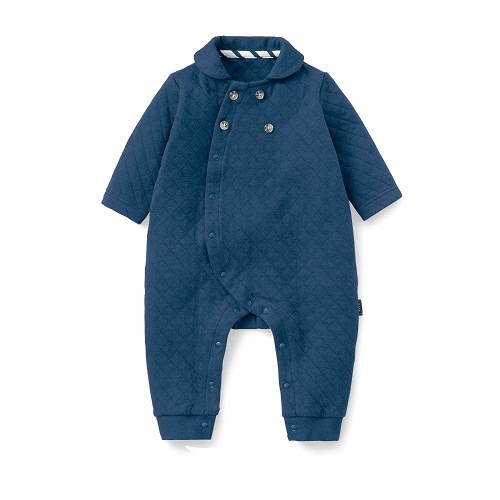 The simple yet attractive bow on the waist enhances the beauty of the dress. 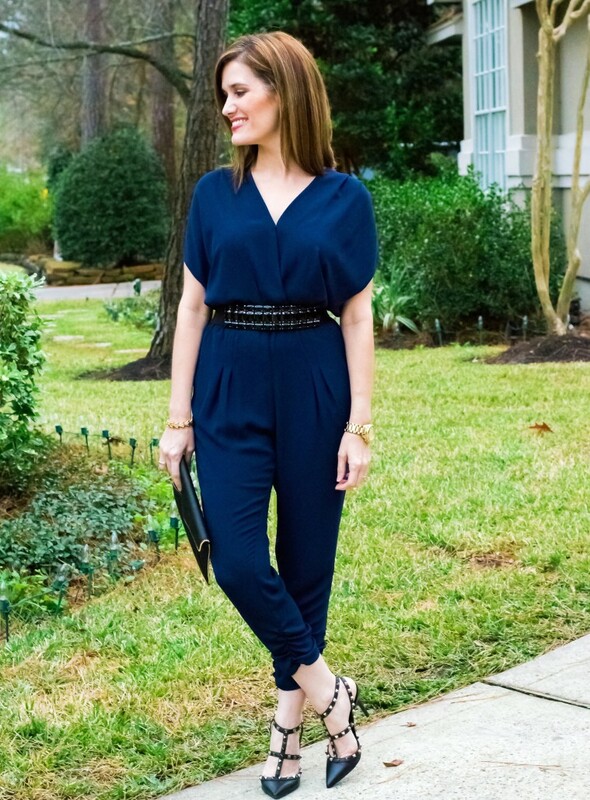 For a desirable look, wear a blue jumpsuit and accentuate the color with a wide black belt. With a pair of kitten heels, an envelope clutch, and a carefree attitude, you will look like a diva. Strapless blue jumpsuits are all that will improve your glamor quotient in every possible way. Pair your such dresses with simple earrings, a wristlet, and stilettos.